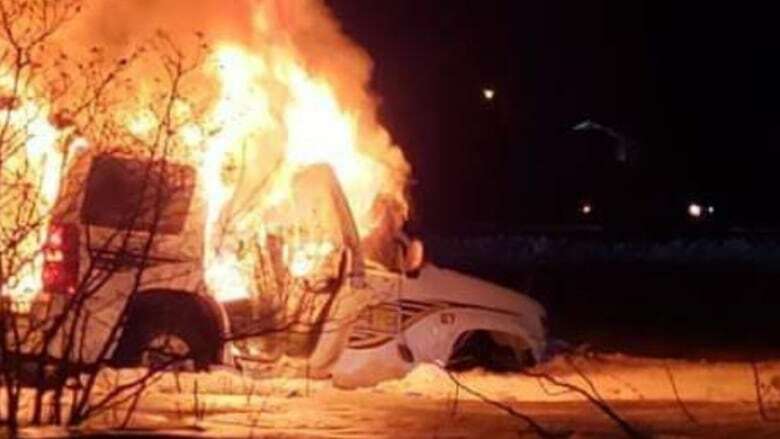 A raid by Akwesasne Mohawk Police of a cannabis shop on Cornwall Island triggered a confrontation Friday night that ended with a police vehicle on fire on the frozen St. Lawrence River. Glen Jock, one of the lead players behind the Wild Flower cannabis shop, passed the blackened trail left by the police SUV as he crossed the ice bridge Saturday to take a look at the Wild Flower building. The business has now been raided twice this month by Akwesasne police. It reopened this week. "It's just the beginning," said Jock. The fierce reaction to the raid was fed by simmering tensions in the Mohawk community about 100 km west of Montreal that straddles the Ontario-Quebec-New York State borders, that has always seen friction between the band government, police and sovereigntist factions. 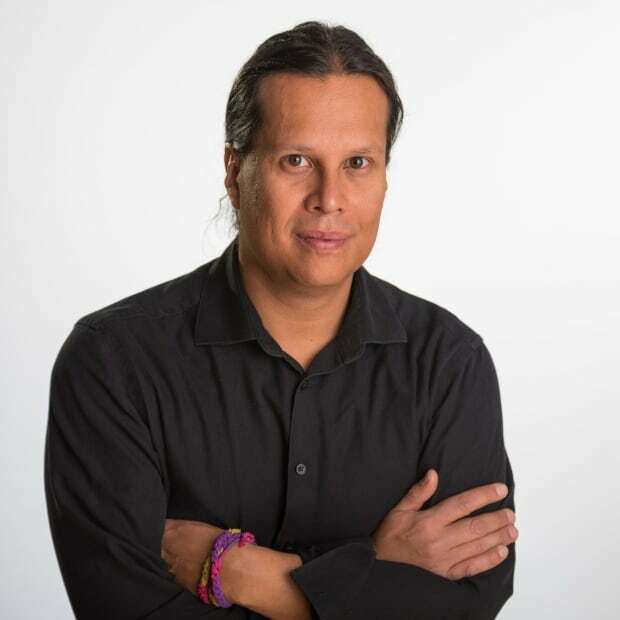 Those tensions have heightened recently as a result of the Mohawk Council of Akwesasne's (MCA) move to settle an 130-year-old claim for 8,000 hectares of land along the south shore of the St. Lawrence River. The Dundee settlement deal was put to a vote in December. Twenty-eight per cent of eligible voters cast a ballot, with 80 per cent supporting the $240 million settlement. Many were unhappy with the vote results and questioned the legitimacy of the band council's mandate, given the low voter turnout. There is also growing unease among some members of the community with the number of non-Mohawk police officers that make up the Akwesasne police force. Add this to the suspicion the MCA wants to control the cannabis industry as a back-door means to introduce a tax on the territory and it creates a potentially volatile mix, said Doug George-Kanentiio, a Mohawk journalist who once ran the newspaper Akwesasne Notes on the territory. "You can see the elements there and the inevitable result," said George-Kanentiio. George-Kanentiio said the MCA and the traditional Mohawk Nation government — which has rejected the cannabis trade — should have seen all of this coming. "It shows people's refusal to learn from history, just within our generation," said George-Kanentiio who worked with the traditional government in the 1980s on the tobacco issue. The MCA has passed an interim cannabis law requiring a $2,000 application fee to obtain a permit to operate a business. Wild Flower was raided because it did not have a band-issued licence, the MCA has said. Wild Flower was operating with a licence issued by the Indian Way Longhouse, which aims to promote a sovereigntist political movement linked to the Indian Way School from the early 1970s which was founded by Jock's mother and father. 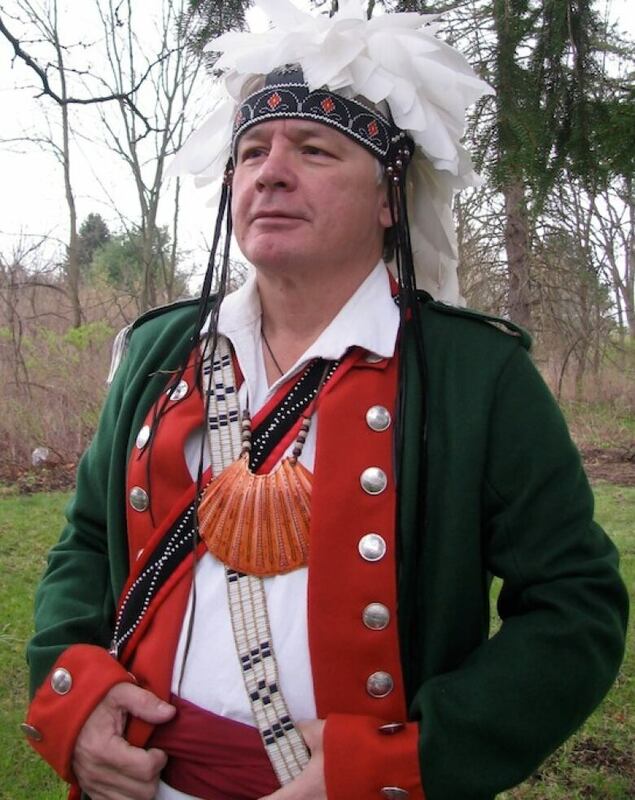 George-Kanentiio said the Indian Way School was a Mohawk immersion education program that operated outside of the New York State system with the aim of strengthening language and culture. The Mohawk Nation Council's decision to reject cannabis also created a vacuum of traditional leadership structure, which led to the revival of the Indian Way movement. "Like everything else in Akwesasne, when you are dissatisfied with some thing or some person, you have the option to take your concerns with you and if you have enough people, organize something else," said George-Kanentiio. "The people who run Wild Flower ... they want regulation, they want to find a way to contribute back to the community ... they do not want it filtered through a band council or tribal council." Following the raid Friday a crowd gathered outside the Akwesasne police headquarters in the St. Regis Village sector of the community. Glen Jock and his brother Roger Jock said he spoke with Mohawk members of the Akwesasne police and urged them to take off their badges and join their people. "It wasn't just me, there were a lot of people, and they said 'Come back into your way of life, you still have a chance,'" said Glen Jock. "We won't be bullied… We are the freedom fighters," said Roger Jock. According to Wakenesiio, 24, who requested his Mohawk name be used, the mood outside the police station shifted after three women, representing the wolf, bear and turtle clans, returned from a meeting inside the headquarters with a senior officer. He said the women had gone in with demands that all non-Mohawk police officers be removed from the force, including the deputy police chief, who is a Cree woman from Fishing Lake First Nation in Saskatchewan. Wakenesiio said the women emerged from the meeting saying their demands weren't taken seriously. "One of them was on the verge of tears. All I can remember her saying is, 'They didn't listen to us, they disrespected us,'" said Wakenesiio. He said a hand-to-hand scuffle erupted between some of the men and police officers on scene. In the midst of this, someone commandeered the police SUV, which wound up in flames on the ice road. Wakenesiio said the events of the weekend were meant to put the band government and police force on notice. "This has to stop, everything you are doing has to stop," he said was the message. Akwesasne Police did not respond to repeated requests for comment. The band issued a statement on Saturday, along with the tribal administration on the U.S. side, acknowledging "differing perspectives" and calling for "peaceful dialogue" and "harmony." A power outage forced the closure of band offices Monday and the MCA could not be reached for comment. Inside a Mohawk police online sting that led to child luring charges in the U.S.